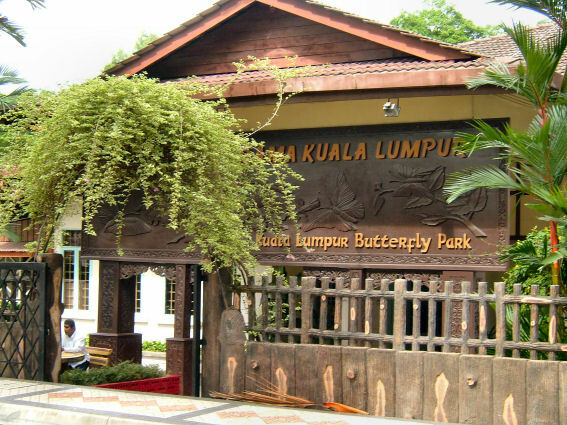 The Kuala Lumpur Butterfly Park is situated near the Lake Gardens. 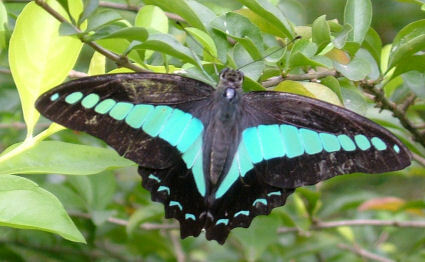 The park is an imitation of the butterfly's natural habitat and that's the tropical rainforest. To prevent the butterfly's from escaping the whole park is covered by a net. Don't pay attention to that, because it's high above you. 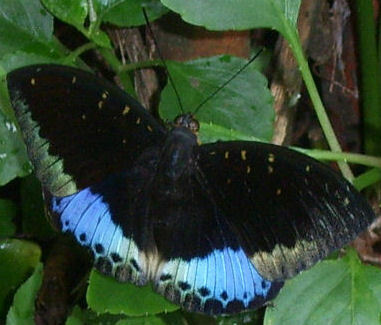 The Butterfly Park houses some 6,000 butterflies of over 120 species. To create such a beautiful park they used over 15,000 plants and there are ponds. You can also take rest along the limestone paths in the butterfly park. 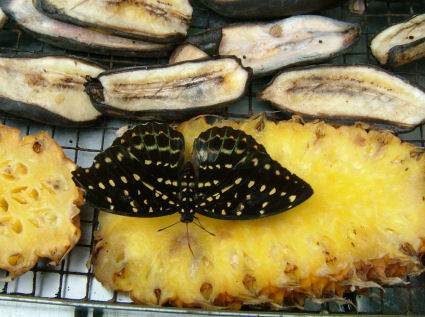 Butterfly's fly around you and here and there they have placed some fruits, like pineapple. We have visited many Butterfly Parks (among others on Penang and in the Cameron Highlands), but no one was as beautiful as this one. You can see the butterfly's resting on the leaves of the plants. Sometimes they rest on you! The views from the gazebo are spectacular. On your way out you go through an informative insect museum, where you can also see some living animals. After the museum you come into a souvenir shop, where you can buy local handicrafts, frames butterflies and beetles. 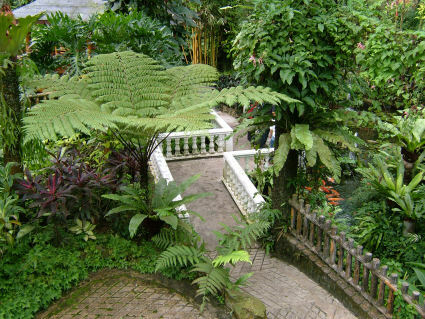 Close to the Butterfly Park is The Bird Park en The Orchid Garden.